The comprehensive Professional Program course requirements. 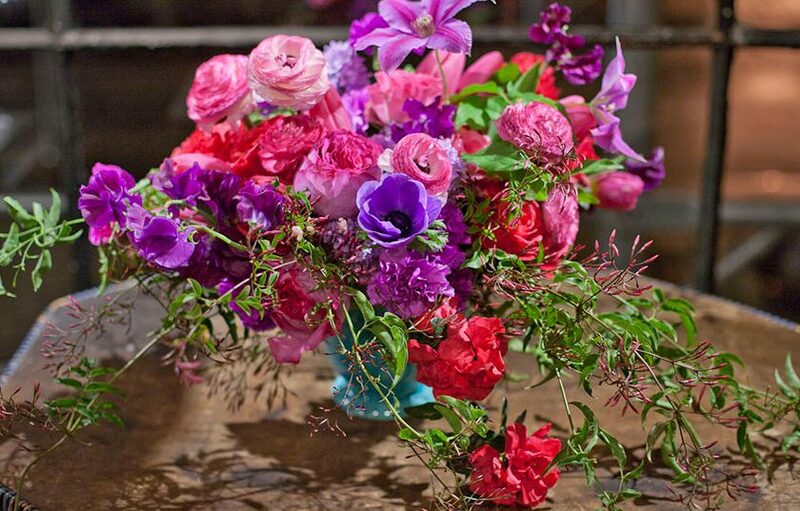 FlowerSchool New York’s Floral Design Program is a carefully designed series of courses to prepare students for careers in the floral design field. At the culmination of the program students will have the foundation skills, techniques and design aptitude to work in any flower shop or design studio. Designed by top floral professionals and working designers, the select courses of the Floral Design Program teach the necessary principles and techniques of floral design. In the Foundation Classes (classes 1 – 17) students receive training in both theory and practice focusing on floral mechanics, current design styles and buying practices. Simulation classes such as the Event Design Series and Flower Shop Series help students prepare for the floral design industry by recreating real world situations most commonly found in the business. Following the courses FlowerSchool will assist Floral Design Program students complete the required 50-hour internship at a New York flower shop or event studio. FlowerSchool New York is now licensed by the New York State Education Department. Licensure under the State recognizes the school as a high quality and career oriented school. To read more about the Floral Design Program, please download the Course Catalog HERE.